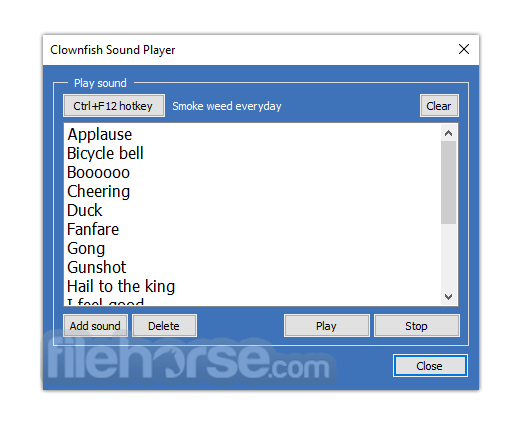 Clownfish Voice Changer is an audio processing free application that can change the sound of your voice in a few simple clicks. It is built to operate on the system level before any sound is distributed to any other chat or recording application you are running. This means that you can use your new changed voice in any of your favorite chat programs such as Skype or Viber, or even inside video game chat sessions on Steam, Discord and other gaming voice chat services. In addition to voice changing technology that relies on numerous pre-built presets and user-configurable voice pitch scale, Clownfish Voice Changer also features several services that can transform the way you interact with voice chat or voice recording sessions on your PC. This includes the versatile music player that can reproduce original sounds in the background of your microphone recording, the helpful voice assistant that can convert text into speech, and intuitive Sound Player that can reproduce various sounds (including your own custom ones) when pressing a hotkey. The app is also compatible with Virtual Studio Technology (VST) plugin standard. 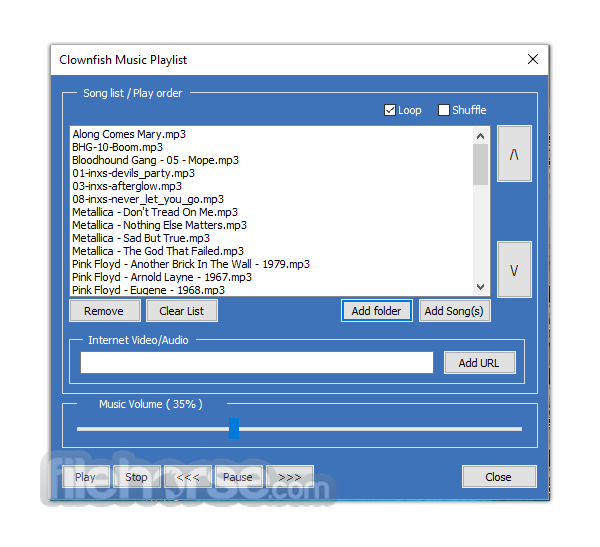 Clownfish Voice Changer comes both in the 32bit and 64bit installation packages and is important to note that 64bit application cannot be installed on a 32bit version of Windows OS. After a brief installation, the app will be ready for use. To make sure the app has all the necessary permissions, it is recommended to run it in Administrator mode, and that all Enhancements in the Windows Sound drivers are turned off. To take advantage of the Clownfish technology, you need to install it on the capture device of your choice. If you wish to restore all your default sound card settings, all you need to do is to uninstall Clownfish. In some rare cases, you will also need to reinstall your audio driver software. 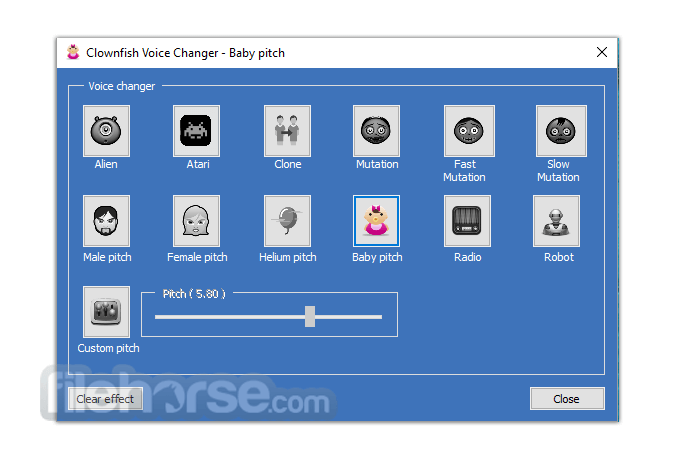 The main interface of Clownfish Voice Changer is simple to use and provides simple access to several main tools of the app. The core part of the app is the Voice Changer listing that features premade presets for easy transformation of the voice (Alien, Atari, Clone, Mutation, Fast Mutation, Slow Mutation, Male pitch, Silence, Female pitch, Helium pitch, Baby pitch, Radio, Robot) and a slider for a custom pitch. Music playlist window features song listing, buttons for simple managing of playlist, music volume control and a text field for adding internet video/audio feed. Voice assistant is accessible via a separate UI window with voice selector and a text field. Easily modify your voice before recording it or sharing it via chat apps. Take advantage from more than a dozen preinstalled voice presets. Create your own customized voice pitch. Music Player with playlist and audio controls. Sound Player with pre-built and custom sounds. Integrated support for Virtual Studio Technology (VST) plugins.